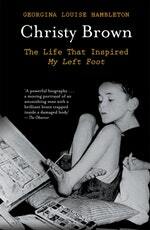 Christy Brown was severely disabled with cerebral palsy, unable to use any part of his body other than his left foot. Doctors said he was a 'mental defective' and that he would never be able to lead any kind of normal life; Christy proved them wrong. His mother taught him to write using chalk on the worn floor of their small home, and Christy grew into a talented artist and writer. His 1954 memoir My Left Foot was made into an Oscar-winning film starring Daniel Day-Lewis, while his bestselling novel Down All the Days was described by the Irish Times as 'the most important novel since Ulysses'. Using previously unpublished letters and poems, this first authorised biography marks Christy Brown's importance as a writer and celebrates his indomitable spirit. His story proves that, with hope and determination, almost impossible odds can be overcome. Love Christy Brown? Subscribe to Read More to find out about similar books.